Daymond John. Donna Karan. Marc Ecko. Betsey Johnson. What do they have in common? They all made their fortunes as forward-thinking fashion designers. But there’s another name to add to that list: Elaine Heney. Never heard of her? Don’t worry; you’re not alone. Heney is one of thousands of budding fashionistas earning extra money on Merch by Amazon, a print-on-demand service for T-shirts that the retail giant quietly rolled out in late 2015. In 2016, Heney sold more than $128,000 worth of shirts and explained that because Amazon has so much organic traffic, it does most of the marketing for you. Dream of starting your own empire? Get great ideas delivered straight to your inbox in The Penny Hoarder Daily! If you’ve always wanted to break into the fashion business, but don’t have the budget to head to Milan, you can upload your designs to Amazon (subject to trademark approval of course) and let it handle the printing and shipping for you. That means you can start your online fashion empire with no inventory, no upfront costs and no marketing budget. Heney is something of a serial entrepreneur. She’s sold mobile apps in the iTunes app store, private label products on Amazon, and now T-shirts. Her T-shirt business earned her around $53,000 in profit in 2016, working — she says — just 10 hours a week. Amazon lets you set your own price for each shirt. The suggested price is $19.99, which earns you around $8 in profit. Each shirt is eligible for free Prime shipping, as well. The drawback is that the Merch program is currently by invitation only. You can request your invite here, but it can take a few months to get approved, and you may or may not receive an email notification when your account is active. I applied in November 2016, and Merch approved me in late January 2017. However, I didn’t find out I was approved until I logged in and saw I could begin uploading designs. Your Merch account works in tiers. At first, it will only allow you to have 10 designs. 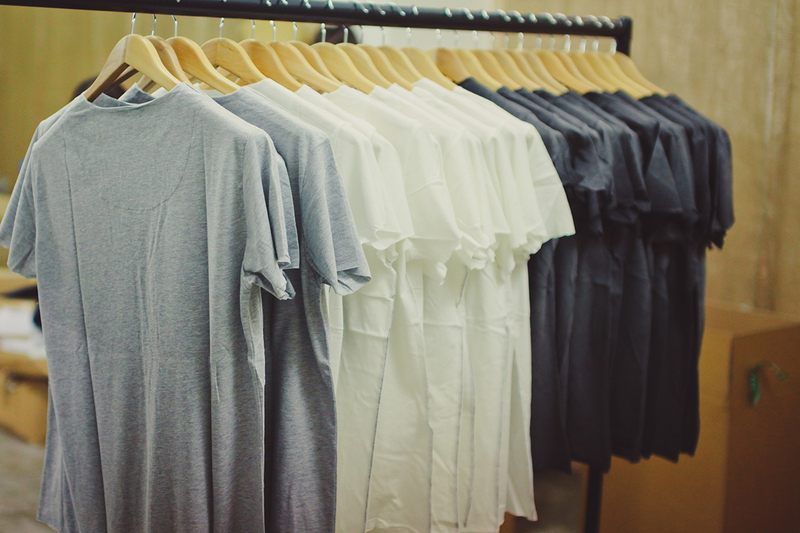 Once you sell your first 10 shirts, you’ll level up to 25 designs. Once you sell 25 shirts, Merch will bump you up to the 100-design level, and so on. These upgrades aren’t immediate or automatic, though, so there’s some patience involved as this program grows and evolves. While you wait to be approved, you can get started in a couple of ways. There’s an interesting workaround that involves setting up your own online store with Shopify and integrating it with a different print-on-demand T-shirt supplier and an Amazon seller account. Read more about this process here. Get started by creating a few designs and testing them on platforms like Redbubble, Zazzle and CafePress. And that’s an important point to make: Amazon didn’t invent this business model. Print-on-demand companies have been around for years. The biggest difference between Amazon and these other marketplaces is the traffic volume — and it’s not even close. According to TrafficEstimate.com, Amazon receives 90 times more daily visitors than Redbubble, 110 times more daily visitors than Zazzle and 220 times more daily visitors than CafePress. All those extra shoppers on Amazon add up to a lot more free exposure and potential sales. 1. Evergreen topics: professions, family roles, sports, hobbies, etc. 2. Trending topics: current news stories, memes, etc. One of Heney’s biggest sellers last year was an anti-Trump T-shirt. 3. Seasonal topics: Valentine’s Day, Christmas, Halloween, Father’s Day, etc. If Father’s Day is approaching, Heney said she might create a design that combines two interests, such as “best dog dad ever,” or “I’m a dad and I love gardening.” Both of these slogans are pretty narrowly focused, but it doesn’t cost you anything to create them, and they’re perfect for the dad who’s excited about his dog or garden. I’ll second the trending topic idea. Since my account was approved right around the time of Trump’s inauguration, I noticed the #alternativefacts meme trending. My wife created a couple “alternative facts” T-shirts, and those have been her best sellers so far — no outside marketing required. One tool you can use is MerchResearch.com, where you can type in a keyword to see all the Merch listings. This will show you what other designs are out there and possibly inspire you to improve on them or come up with your own unique spin. Amazon will also show you the best-seller rank for each item in the Clothing category — the lower the number, the more units it sells. Heney said anything under 100,000 in Clothing is probably making consistent sales. In our house, we use Gimp (a free Photoshop alternative), Wordswag ($4.99) and good ol’ PowerPoint ($109.99). Surprisingly, sometimes the simplest designs sell best. Last year, a shirt that simply read “Nasty Woman” in plain text font became the top-selling shirt on Amazon. In terms of the technical requirements, your design files must be 4,500 by 5,400 pixels and 300 dpi, and the design must have a transparent background. Once you apply for an invitation, you can download a template directly from Amazon. 3. Pick your price. Amazon will show you the estimated royalty at each price point you type in. The cost is around $12 per shirt, so if you price your shirts at Amazon’s suggested $19.99, you can make $8 per sale. Your shirt will go through an approval process before it goes live on Amazon. On average, the approval process takes about 12 hours, but it can sometimes take a few days. During the upload process, you’ll also have the opportunity to create a title and description for each T-shirt listing, and it makes sense to use those fields to include the keywords you’re targeting, like “father’s day,” “nasty woman,” “dog lover,” etc. Although you could post your designs to Facebook or target trending hashtags on Twitter, Heney said the beauty of this business is just relying on Amazon to generate sales on its own. With more than 6,000 designs under her belt, it’s clear that she wouldn’t have time to market each product individually. It’s also clear that this is a bit of a numbers game to bring in a full-time income. Nick Loper helps people earn money outside of their day jobs. He’s an author, online entrepreneur, and life-long student in the game of business. His latest role is as Chief Side Hustler at SideHustleNation.com, a growing community and resource for aspiring and part-time entrepreneurs.